Several events were held for 2017 Homecoming, including the Shop, Rock & Glow, Student Life Hall of Fame awards and the Dinner & Dance. 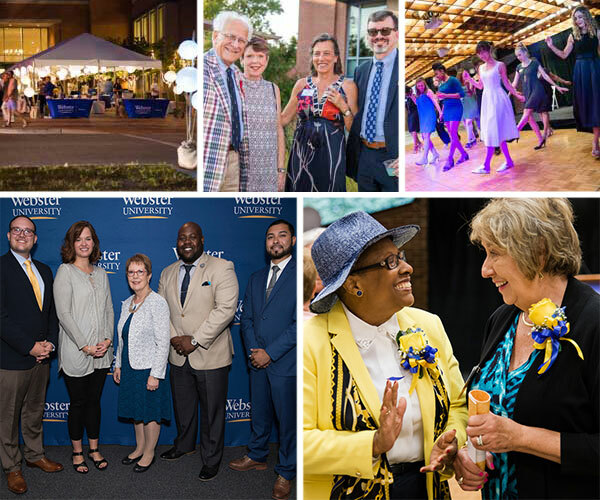 Webster University alumni, parents, students, family and friends and the community celebrated Homecoming: Reunion and Family Weekend at the Webster Groves campus on Friday, Sept. 15 and Saturday, Sept. 16. Events included Shop Rock & Glow on Friday night with nearly 225 guests who enjoyed food, drinks, music, shopping, and each other’s company. 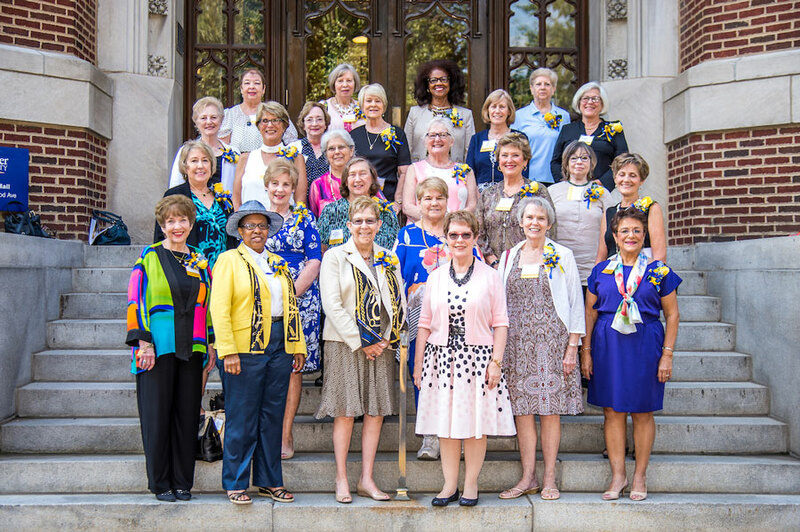 Thirty members of the 50th Reunion Honor Class (Class of 1967) participated in a campus tour Friday afternoon and also had a private chat with President Elizabeth (Beth) Stroble on Saturday morning, before being inducted as the newest members of the Golden Circle at the Golden Circle Luncheon. About 100 alumni, students and staff attended this event. Lightning Talks, which took place Saturday afternoon, saw a crowd of 36 attendees, with many more streaming the event through Facebook Live. Just over 150 guests attended the Dinner & Dance on Saturday evening, where the 2017 Alumni Award winners were honored. University Center’s 25th Anniversary Celebration and the Student Life Hall of Fame Induction Ceremony, both had great attendance and occurred on Friday. To view more photos, please visit the albums on Webster University's Facebook page.